I go to physical therapy every week to work on maintaining the physical Strength I currently have and work on exercises to strengthen my joints. I know I’m never going to look like the beautiful athletes at my University, or even like the toned-sorority girls. But I’ve accepted that, because my body is not meant to be worked in that way. I can’t run. The impact on my joints is simply too much. When I tell people I work out, they laugh with disbelief. But here’s the deal, my workout is making me into the best person I can be. And that’s all that matters. Setting my own personal goals and working each day towards that goal. We can’t minimize the emotion and psychological Strength that we each have. Thoughts, feelings, and emotions are exhausting as well and if you’ve ever been through a really rough patch of stress in your life, you have seen the physical impact that has on the body. That negative impact makes it harder to get out of bed in the morning and do each activity of daily life. So no matter where your “Strength” truly lies, just remember to set your own goals, and keep track of your progress. Recognize when you are strong and reward yourself; Because we’re only given this one body and we have to take care of what we’ve got. I’m so thankful I’m not fat. wondering if I can do more. you got out of bed. you’re getting there, you’re strong. What are your strengths? 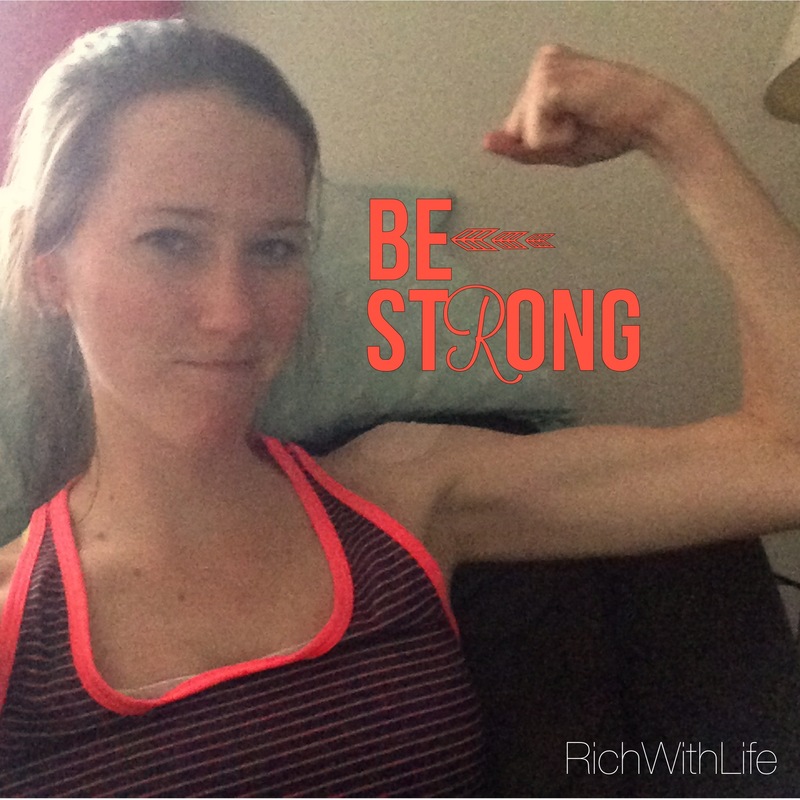 Do you set goals and reward yourself for being strong?